(BAGHDAD, IRAQ – AFP) has agreed to financial compensation for Americans who say they were mistreated by executed dictator Saddam Hussein's regime during the 1990-91 Gulf war, the US embassy said on Saturday. 'The agreement was signed on September 2,' US Embassy spokesman David Ranz said. He could not confirm the size of the settlement, but the Christian Science Monitor reported that Baghdad had agreed to hand over 400 million dollars (S$536.5 million) in compensation. The deal was signed between Iraqi Foreign Minister Hoshyar Zebari and US Ambassador to Baghdad Jim Jeffrey. 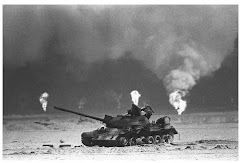 Iraq's August 2, 1990 assault on neighbouring Kuwait was rapidly met with a concerted international military response that pushed Saddam's forces out of the emirate and eventually ended in his ouster by a US-led coalition in 2003. 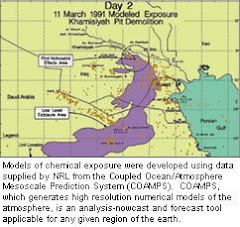 Several US citizens were held by Saddam's regime during the war over Kuwait and used as human shields to deter coalition attacks, with some claiming they were mistreated and tortured by Saddam's forces.